Don't miss this GREAT OPPORTUNITY to live in a gorgeous fairway frontage home! Stunning golf course & partial ocean views! Beautiful, quiet end unit with no neighbor above. Great ocean breezes & natural light. Updates include new paint, refinished fireplace, newer windows & doors, and LED lighting throughout. Remodeled kitchen features new quartz countertops, SS appliances, tile backsplash, & custom-made breakfast nook. Updated attached garage! Resort-like community with pool/spa & tennis!, Welcome to 2504 Navarra Drive #206! This upgraded, end unit has lots of windows, which means tons of natural light! 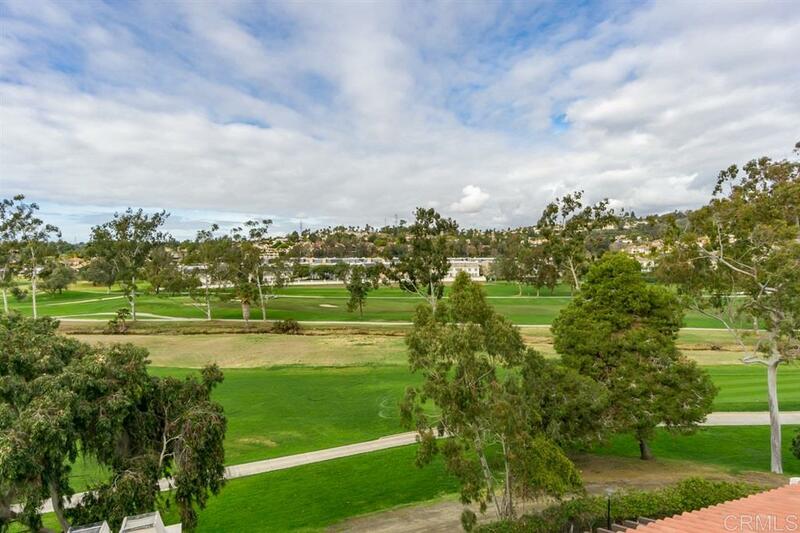 Quiet location with stunning golf course views & ocean views on a clear day. Updates include new paint (except in master), refinished fireplace, window treatments, new toilet in ½ bath, & new fan with light in second bedroom, & LED lighting throughout. Remodeled kitchen includes new quartz countertops, new stainless steel appliances, new tile backsplash, and custom made wood bench in breakfast nook. Garage has been updated with installed storage, new lighting, new door/electronic lock, and is wired for an electric vehicle. Short stroll to community pool & tennis court!